Want to really impress? 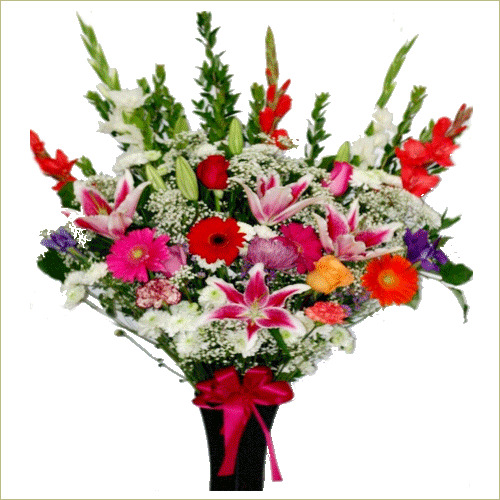 Bring home this luxurious display of your affection! Reds and hot pink burst out like fireworks from a background of white while orange and peach add variety.